So What's Protecting Your New Steel Colorbond Roof? The time has come to replace your roof and you now know that it’s going to be a valuable investment. But you also want to know that your new roof is going to last the distance and is backed up by a cast-iron guarantee. A great warranty is always a sign of a company’s faith in the superior performance of its products. 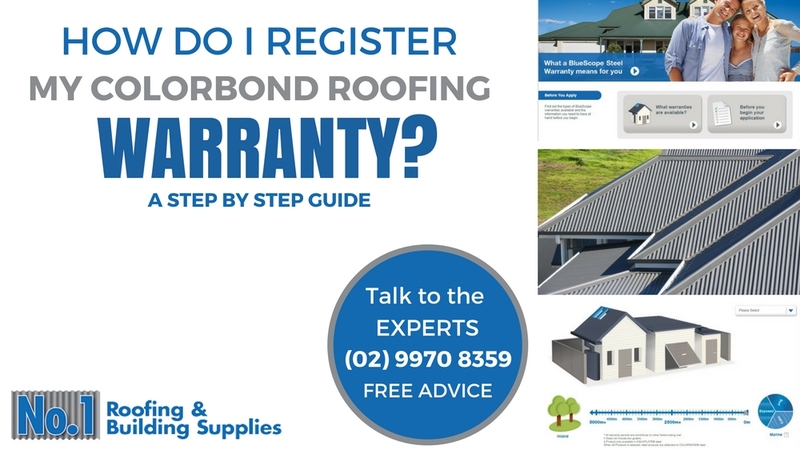 The warranty that protects your new Colorbond or Zincalume roof is one of those special warranties that are the hallmark of an outstanding product. For 95 years Bluescope Steel has been proudly making the steel used in a range of roofing products including Colorbond and Zincalume. 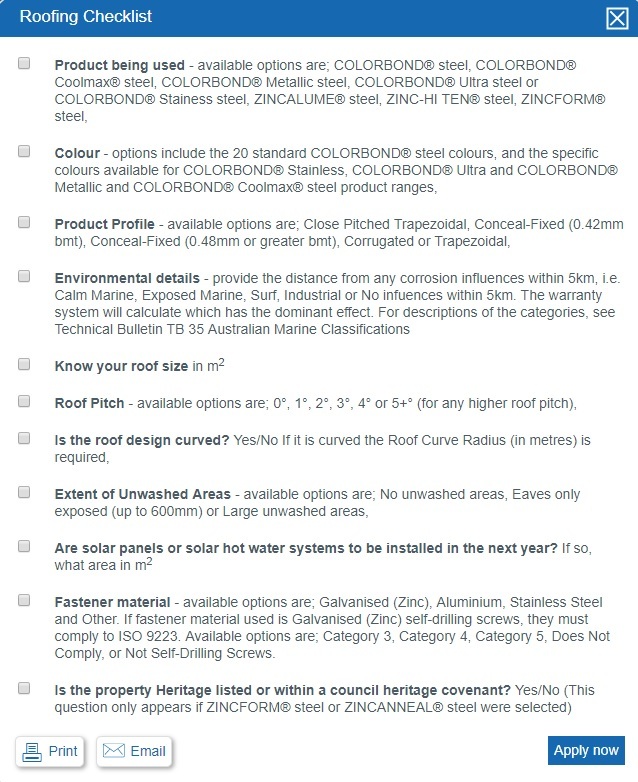 Like most warranties the Colorbond or Bluescope Steel warranties require the product to be the right one for the job. 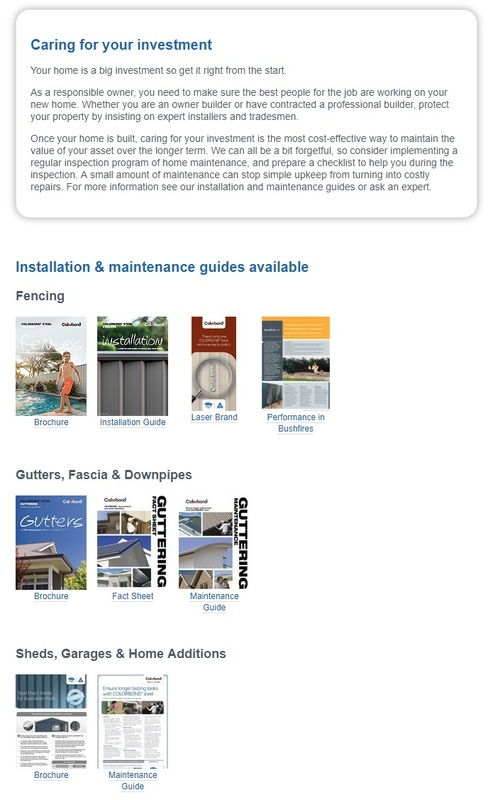 This guide tells you how to get the best out of the very helpful and comprehensive Bluescope Steel warranties page so that you can make sure your roofing investment is protected. 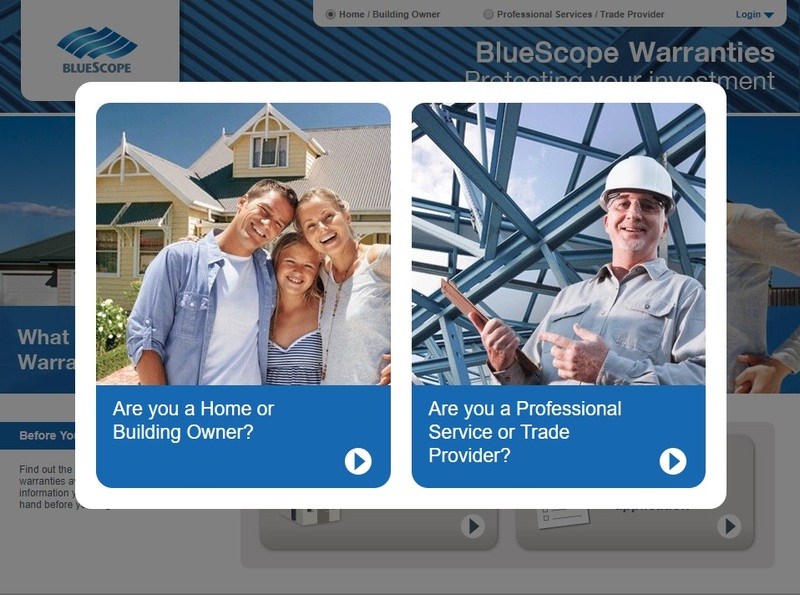 Start here: https://warranties.bluescopesteel.com.au/site/, and then choose the home/ building owner button. From here you will see this list of options and generally it makes sense to simply follow each step in order. Start at the right hand side by choosing your product from the drop-down box. The slider below indicates the distance from corrosive influence of coastal zones. Choose the zone that best describes your location. The question button gives a clear definition of each zone. And then move the slider to indicate how far away your house is from your closest marine environment. 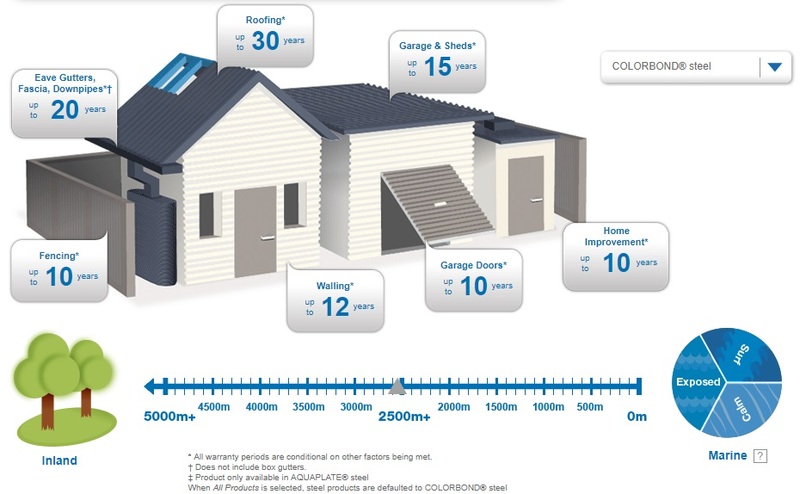 Pop-up boxes on the house image indicate the length of warranty for your chosen product. 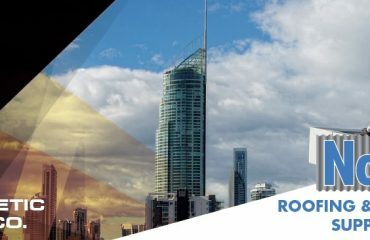 ... if you choose Zincalume steel for your roof and you live 500 metres from a surf beach your roof will be covered for up to 20 years whereas Colorbond Ultra steel would be covered for 25 years in the same situation. This is a critical step and you should not underestimate how far inland your house will remain affected by salt-bearing sea breezes. Neither is it a good idea to do your roof on the cheap and choose an inappropriate product. Doing so may void your warranty or at the least you may be disappointed by the product’s performance. This section provides comprehensive checklists to ensure your warranty application is approved and documented as quickly as possible. The checklist of required items is particularly helpful at the design and planning stage of your roofing project, as it highlights a number of important aspects that you need to get right including the little details such as the use of the correct fasteners. The checklist also points out design features that may impact the available warranty cover. ... the roof pitch is important because moisture sits for longer on flatter roofs increasing the corrosion rates while using the wrong type of fastener can damage the surface and speed up the corrosion process. You also need to tick all the boxes when you come to register your warranty. 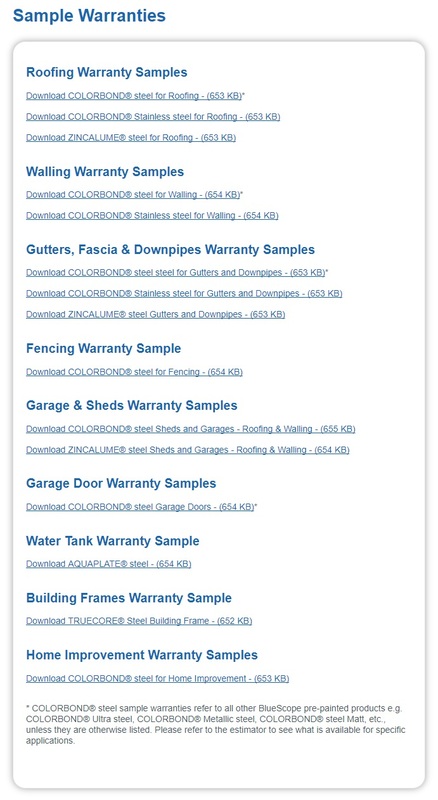 As the title suggests, on this page you can download sample warranties for a range of Colorbond/ Bluescope Steel products. The precise extent of warranty cover is dependent on certain conditions. This is why choosing the right product is critical and, if you’re at the design stage, you might want to revisit the What warranties are available? and Before you begin your application pages again. This section is all about getting the most out of your new roof. The old adage, ‘prevention is better than cure’ is entirely true with your new roof as well. A range of downloadable brochures outline some easy to implement maintenance and cleaning programmes for Colorbond/Bluescope Steel products. Regular removal of leaves and organic matter from the roof and guttering is one of the most important after-care tasks for your roof. That pile of leaves and muck is not only trapping moisture and prolonging your roof’s exposure to higher corrosion rates but the fungi and other microbial organisms in the organic matter can make themselves quite at home on your roof and cause long-term deterioration of the paint. Sometimes, things go wrong but Bluescope Steel stands behind their products. Some companies go out of their way to avoid responsibility for their products but the Bluescope Steel customer service team really is there to help. Bluescope Steel makes it easy for you to reach out and get the help you need in a really timely way and on this page you can find a number of contact options. When you have been through the steps above, applying for and activating your pre-approved warranty will be a straightforward process. The Bluescope Steel warranty is all about keeping a roof over your heads, protecting your investment, and providing real peace of mind. 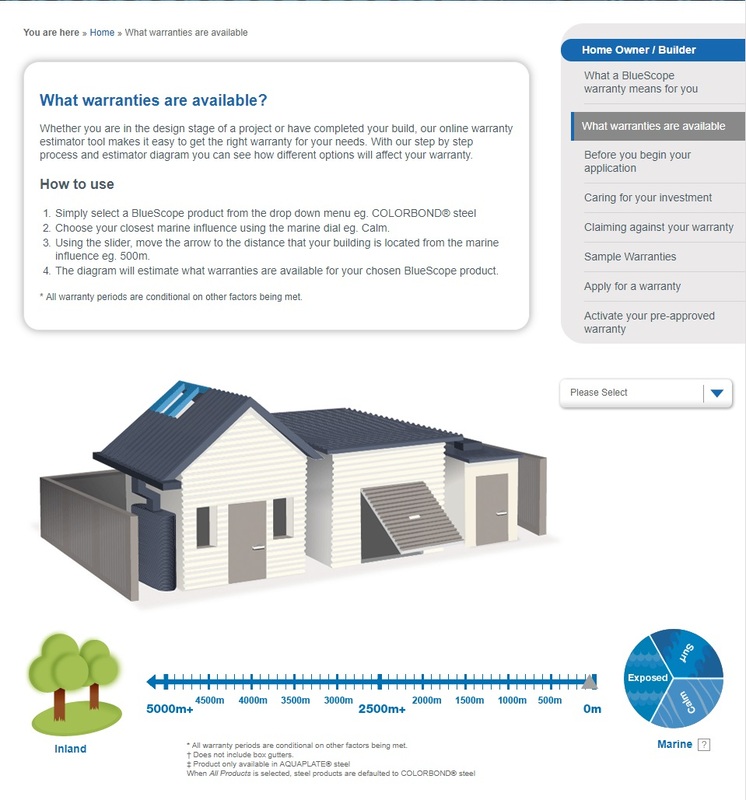 Here's a simple step by step video guide on how to use the BlueScope Colorbond Warranty Estimator. 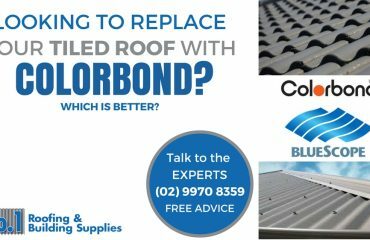 Replace Your Tile Roof With Colorbond – Which Is Better? Replace Tile Roof With Colorbond, Which Is Better?